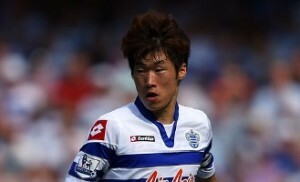 Reports are out claiming that QPR midfielder Park Ji-sung is attracting interest from MLS. The Daily Mail revealed that the former Manchester United midfielder is expected to leave Queens Park Rangers this summer. And the 32-year-old is set to be given an instant escape route out of Loftus Road, with a number of MLS clubs keen on the midfielder. Among those are Toronto FC, who are managed by former QPR defender Ryan Nelsen.